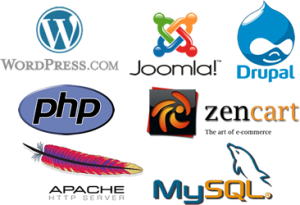 We specializes in custom web site development & administration. NextNetwork Solutions Inc. was started as Brookwell Services in 1996 by C. Denny Brookwell. Mr. Brookwell was a long time employee of a top 500 Company working in the IT arena. Mr. Brookwell started in the Data Base field in 1986 with the deployment of the first laptops. He went on to develop a data base program from 1987 to 1989 that is still in every day use today. From 1989 to 1991 Mr. Brookwell was the lead manager of the deployment of a 4000 node nation wide network consisting of 2400 laptops and 2000 NT4.0 workstations. Upon the completion of the deployment he developed, staffed, and managed the IT support center for the network. The center handled over 800 calls a day with an 4.2 minute average resolution time. In 1994 Mr. Brookwell started moving from the IT support area to the Internet where he developed intranet web sites. Starting in 1996 with the starting of Brookwell Services and a few part time employees he launched a web site development, hosting, and promotion company. Brookwell Services targeted the non PC and Internet user. Since that time we have been giving professional and personal service to individuals and companies alike. Helping the companies get the Internet edge by becoming more competitive with regards to the major companies. We also helped the individual with the start of their family web sites, many of which are still in use today. On January 1st 2000 we opened Nextnet Hosting Inc. This move was to offer more of what our customers were asking for in a more cost effective manor. Our Mission is to assist companies or individuals to get on the web, be it a business, recreational, or personal web site. We pride our selves in not nickel and dimeing our customers and giving each of them the tools they need. OR doing the entire site using the items they want used. We really do what ever is asked of us to assist the customer. If you have any questions or concerns please feel free to contact us. If we can not assist you we will help you find someone who can.